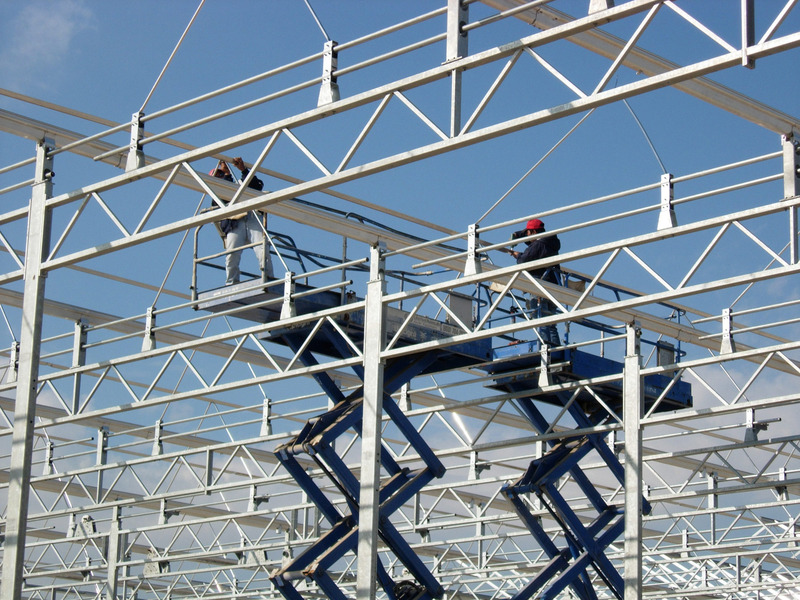 Delivering a steel greenhouse structure is a relatively complex matter. The entire process from the basic material, steel, to a high-tech structure is carried out ‘in house’ at Duijnisveld Greenhouse Structures. This is how we are able to maximise the quality of our products and maintain optimum speed in the production process. No two greenhouse structures are the same. An important question that has to be answered is: for what type of cultivation is the greenhouse intended? To a large extent, the crop, and of course the cultivating method, determine the design of the greenhouse. Depending on these factors, the systems for heating, shading, lighting and any internal transport that may be required can be integrated into the greenhouse design. Our greenhouses are also designed to suit the climatological conditions. After all, the latter vary not only from country to country but sometimes from region to region too. 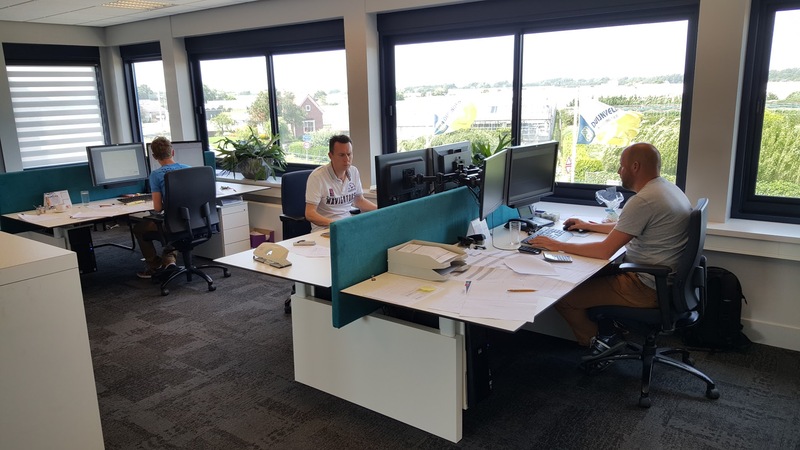 When designing greenhouse structures we make use of state-of-the-art software: the programs Casta-kassenbouw (Netherlands Organization for Applied Scientific Research, TNO), Mathcad and Matrix 2D/3D raamwerk (framework). These computer programs are used to calculate the precise dimensions of the profiles for the various greenhouse components. The design stage is of essential importance. A well-thought out design can save a great deal of money later on in the production process.  This is of course good for the client – and for the reputation and competitive strength of the greenhouse builder. 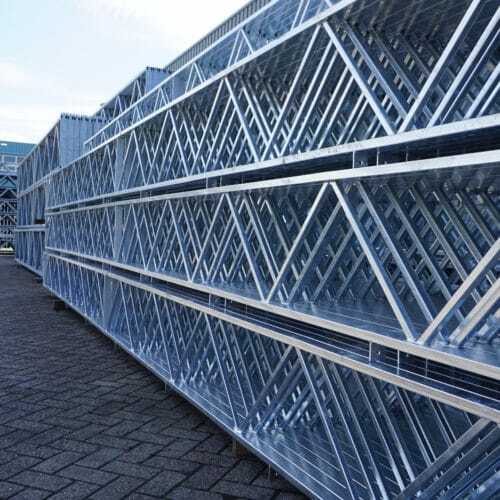 The profiles Duijnisveld uses for greenhouse structures are usually purchased on a project basis. These profiles originate from reliable Western European steel rolling mills. The company always has an average of 1000 tons of steel in stock so that projects can be started up quickly. Ultimately, the quality of a steel profile determines the strength of the completed greenhouse. Steel of optimal quality also contributes to a smooth production process. Once the design is complete and the order for the greenhouse structure has been received, a team of expert engineers can get to work. 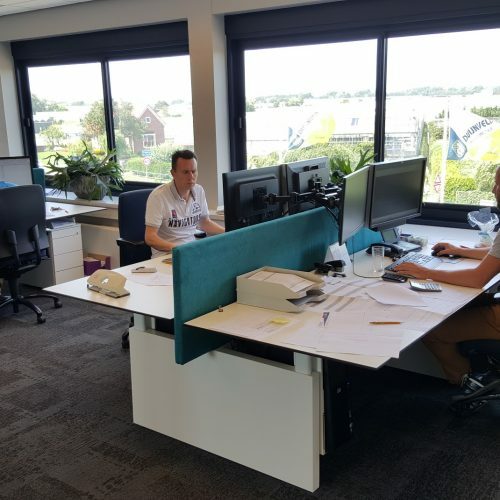 The engineering team is responsible for producing accurate work that is carried out specifically for each particular project. Every component to be manufactured is specified in detail on the drawing prior to production. Automated help is available in the form of the computer programs Tekla Structures 3D and AutoCAD. The expertise of the employees and the support of the computer mean that the whole process runs efficiently. The design and engineering have been completed. The steel profiles have arrived. The production can be started! In this stage, the work is taken over by well-trained specialists who operate under ideal conditions: in a state-of-the-art factory with state-of-the-art machinery. All the processing, such as sawing, drilling, punching, cutting and welding, take place on the premises. The result is: more control over the end result and more flexibility in the process! The life of a greenhouse structure plays a large role in recovering the funds invested in it. 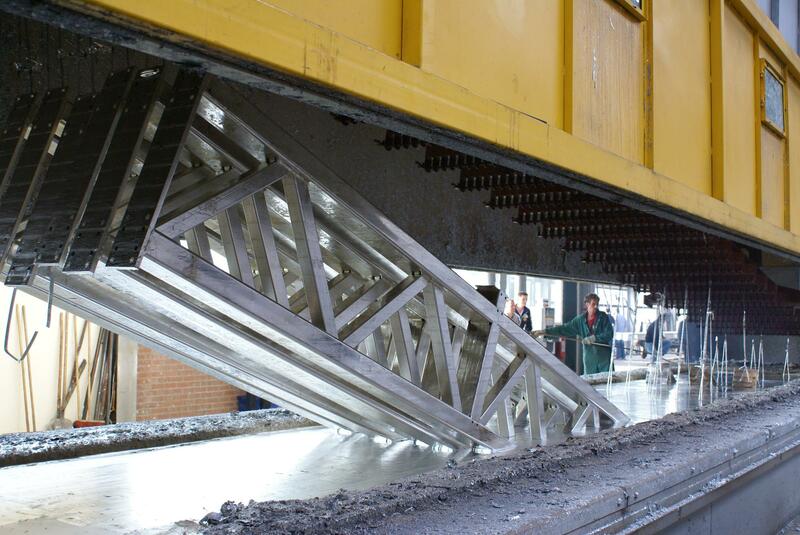 In order to maximise this life, after production the steel parts are hot dip galvanized at a galvanizing plant. This is carried out in accordance with the Dutch standard, NEN-EN-ISO 1461. 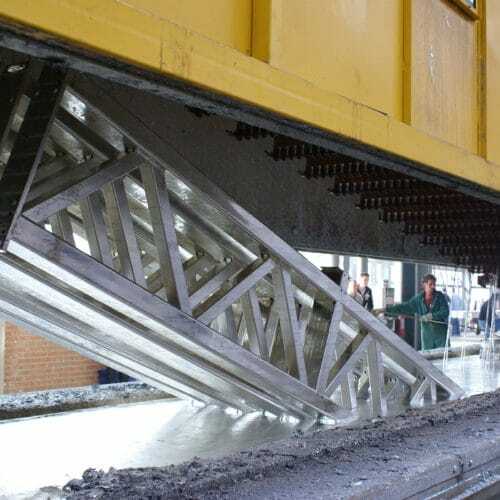 (If you would like to know more about the galvanization process, please see the American Zinc Association.) After galvanization, the products can be powder coated in accordance with the Duplex system, in a large choice of RAL colours. White is the standard colour for use in horticultural greenhouses because a white greenhouse gives the maximum light reflection. 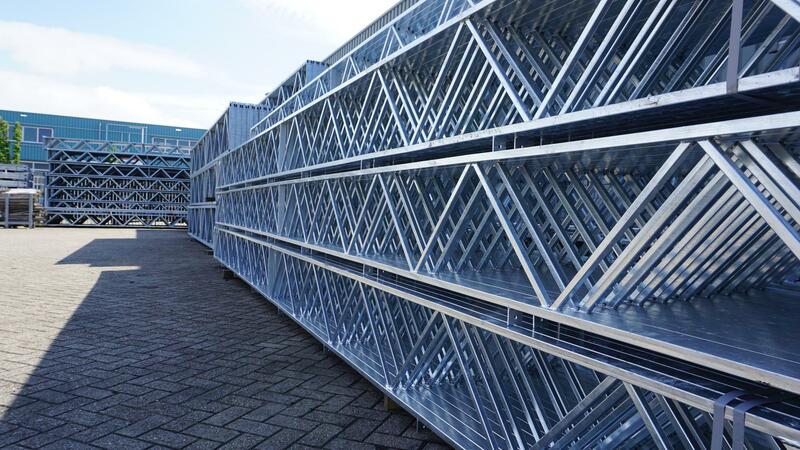 When the greenhouse parts have been galvanized they are returned to the outside terrain in Poeldijk. Subsequently the parts for each project are sorted, checked and counted. Now they are ready for shipping. 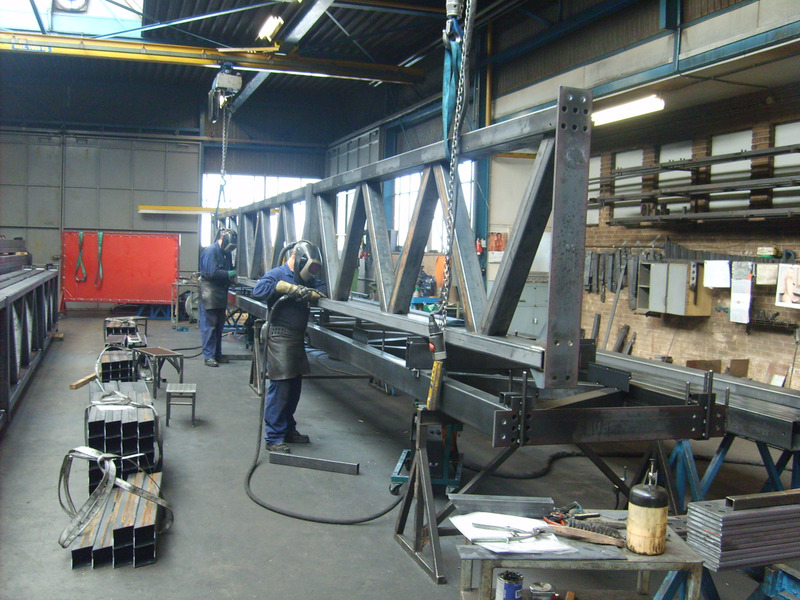 The parts are transported by lorry or sea container, depending on their destination. 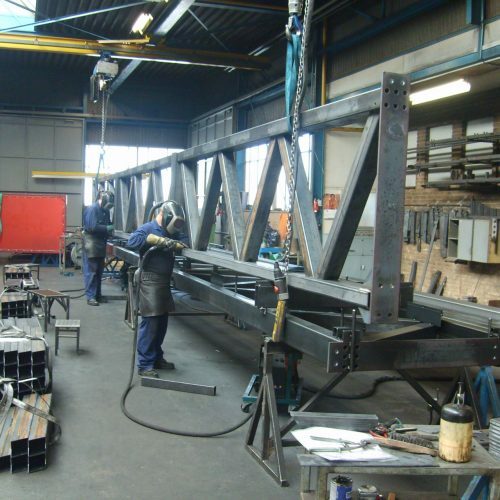 Duijnisveld is not involved in erecting the steel structures. Specialised greenhouse builders take over here.